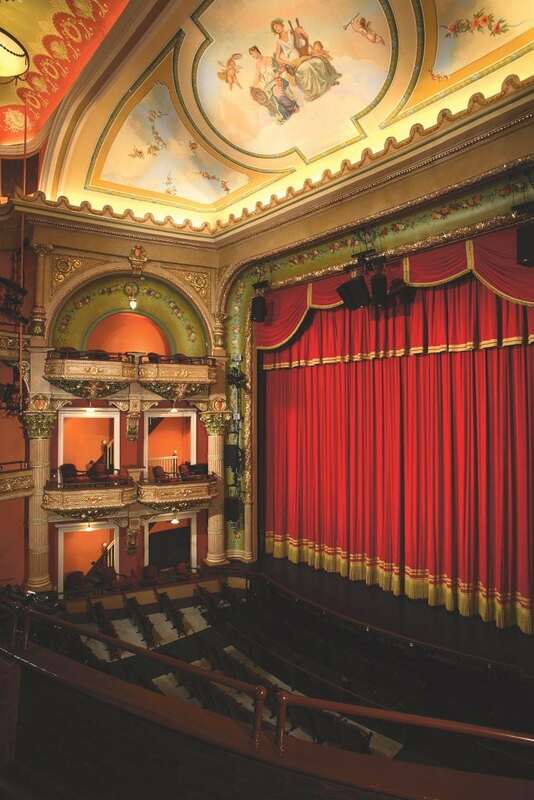 Following a $21 million renovation, the Colonial Theatre was reopened in 2006 after more than 50 years of inactivity. Kate Maguire was out shopping recently, wearing a shirt that proudly celebrated the 90th anniversary of the Berkshire Playhouse in Stockbridge. 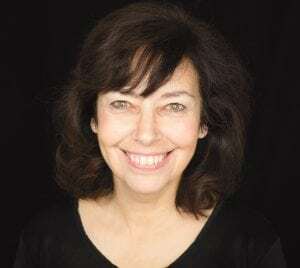 As artistic director and CEO of the Berkshire Theatre Group, which puts on performances at venues in Stockbridge and Pittsfield, Maguire has witnessed quite a bit of that history first-hand since joining the organization 25 years ago. 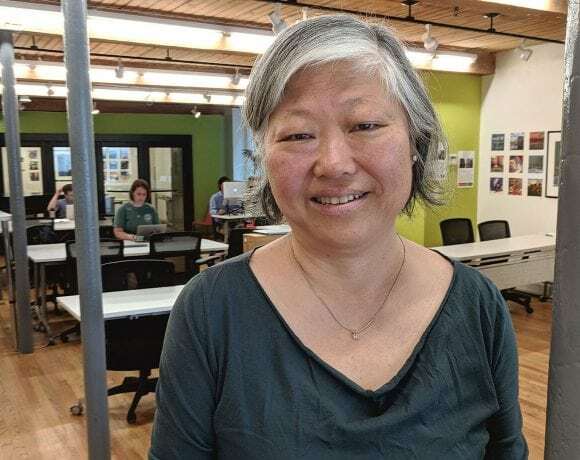 They’re also an economic driver, she added, currently drawing about 75,000 visitors a year and contributing almost $4 million to the local economy annually — as well as employing some 600 people in some capacity each year. 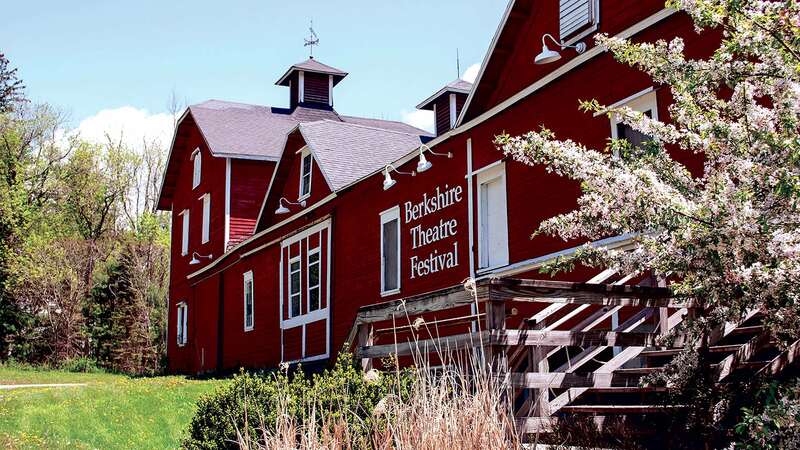 Berkshire Theatre Group (BTG) was created in 2010 by the merger of the Berkshire Theatre Festival, housed at the main stage in Stockbridge, and the Colonial Theatre, built in 1903 in Pittsfield. One of the largest arts organizations in the region, BTG oversees the development, production, and presentation of theatre, music, and various other performing arts. Kate Maguire says involving hundreds of children in productions each year is key to securing BTG’s future. The Stockbridge campus presents work at two venues. The 314-seat Fitzpatrick Main Stage, designed by famed architect Stanford White, is a summer-only venue where classical theatre and world premieres are produced. Meanwhile, the 122-seat Unicorn Theatre, open year-round, is home for new and emerging artists, and a space where more experimental, provocative works often finds a receptive audience. Meanwhile, in Pittsfield, the 780-seat Colonial Theatre — built in 1903 and re-opened in 2006 following a $21 million restoration — hosts family entertainment, comedy, live music, and other events year-round. Located in the lobby of the Colonial is the Garage, a name that pays homage to its former owner, Berkshire Auto Co. This newest BTG venue, complete with a stage, lights, and sound system, is a dedicated space for local and regional music, comedy performers, and more. In short, Maguire said, there’s something for everyone. The Colonial Theatre opened its doors on Sept. 28, 1903. Built in five and a half months, it boasted pristine acoustics and classic Gilded Age architecture. As was sometimes the custom in that day, the exterior of the theater was designed by a respected local architect, Joseph McArthur Vance, who also designed Pittsfield’s Masonic Temple, the Christian Science building, the superstructure of the Wahconah Park Stadium, Mount Greylock’s Bascom Lodge, and the Mahaiwe Theatre in Great Barrington. From its early days, the space played host to some of the most notable lights in theater, including Maude Adams, Ethel Barrymore, John Barrymore, Sarah Bernhardt, Eubie Blake, Billie Burke, George Cohan, Irene Dunne, Grace George, William Gillette, Walter Hampden, Helen Hayes, Al Jolson, Alfred Lunt and Lynn Fontanne, Julia Marlow and E.H. Sothern, Will Rogers, Lillian Russell, Ted Shawn, Noble Sissell, Ruth St. Denis, Laurette Taylor, and Ed Wynn. To the south in Stockbridge, the Berkshire Playhouse was founded in 1928 when Mabel Choate sold the Stockbridge Casino to financier Walter Clark. An organization called the Three Arts Society remodeled the casino’s interior by adding a stage and seating for 450 people, and christened the new theatre the Berkshire Playhouse. In 1937, the Colonial was renovated with a new marquee, projection room, and two retail stores added to the front of the building. With cinema on the rise, the venue operated primarily for the next decade and a half as a movie theater, although some community performances continued. In 1951, the Colonial closed due to the rise of TV and the decline of touring theatrical companies — and would remain closed for more than a half-century. 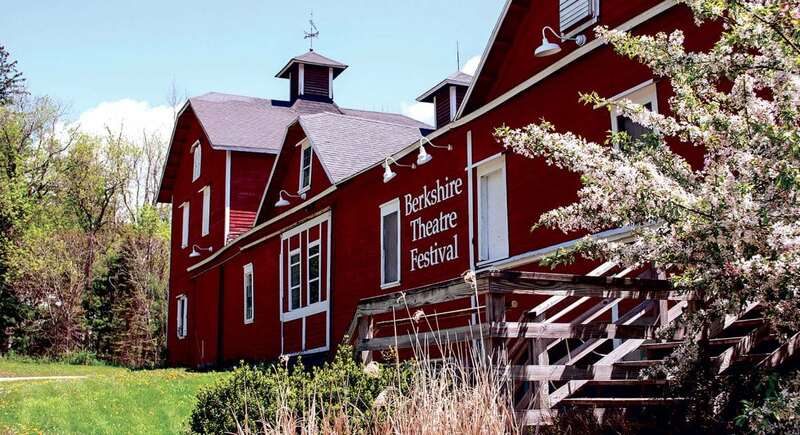 Down in Stockbridge, the Berkshire Playhouse was reorganized as a nonprofit organization in 1964 and renamed the Berkshire Theatre Festival. In 1976, the playhouse was added to the National Register of Historic Places. In 1996, the Unicorn Theatre was reopened after a lengthy renovation and became BTG’s official second stage. To the north, meanwhile, efforts to restore and reopen the Colonial were picking up in the 1990s. And organization called Friends of the Colonial Theatre Restoration was formed in 1994, and public tours in 1997 led to increased community awareness of the venue’s potential. A $2.5 million appropriation in state funding followed, and designation of the facility in 1998 as a National Historic Treasure by the Save America’s Treasures Program of the National Park Service only increased the momentum. After years of design, planning, and community fundraising, the rehabilitation of the historic theater — and the extensive renovation of the adjacent Berkshire Auto Garage — were undertaken. In 2006, the $21 million restoration was complete, and the theater reopened. The 22-month construction process preserved and reinstalled all historically significant architectural and design features — from the vaulted, gilded entrance to the elaborately decorated boxes and balcony to the custom plasterwork — while creating a modern performance center. Maguire might be even more proud, though, of the way BTG engages with children, reaching about 13,000 students with cultural programs each year and putting many of them on stage in any given year; this past summer, about 100 Berkshire-area youth performed in Tarzan of the Apes at the Colonial. She believes that because it’s her own story. Growing up in Lowell, she used to attend performances of Boston Children’s Theatre. Maguire wants to open those doors for others today — not just children who might feel a spark to follow a passion for theater, but area residents and Berkshires visitors who become part of a long, rich history every time they buy a ticket.